Shabby Chic & Modern Chalk Board Appearance for use with Liquid Chalk Markers or Regular Chalk. 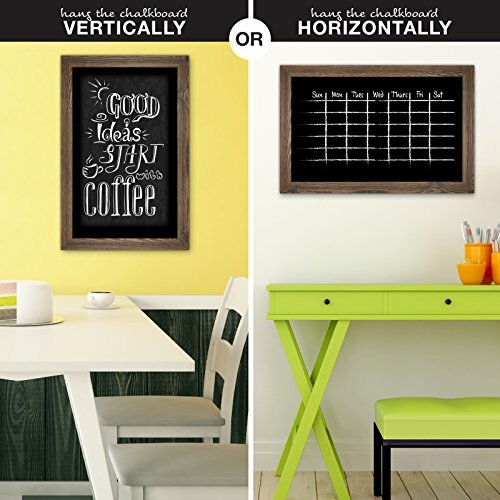 This Chalk Board Hanging Sign is perfect for menu or promotional messages for restaurants, kitchens, bars, cafes, stores, weddings & special events.INCREDIBLE VALUE: This decorative framed chalkboard comes with 10 Liquid Chalk Markers (a $15 value) along with traditional chalk and eraser. You can begin using it right out of the box! 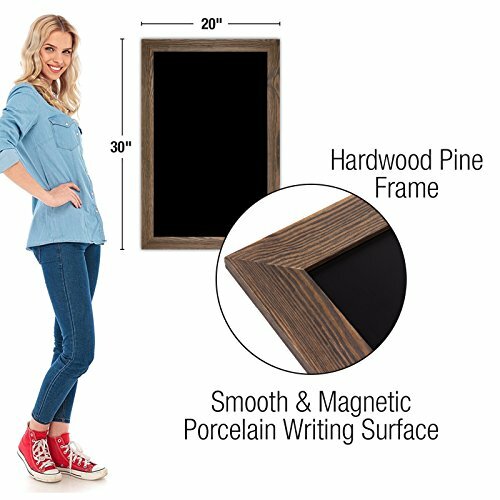 HANDCRAFTED: Each chalk board sign is made with high quality furniture grade SOLID PINE hardwood frame and smooth PORCELAIN. 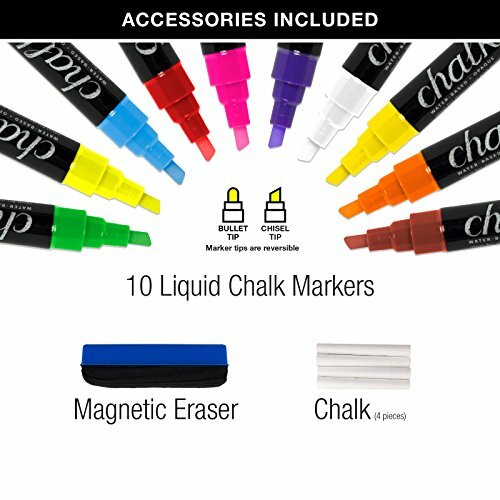 The smooth magnetic writing surface works great with a liquid chalk marker or traditional chalk and is easy to clean up and will never stain. 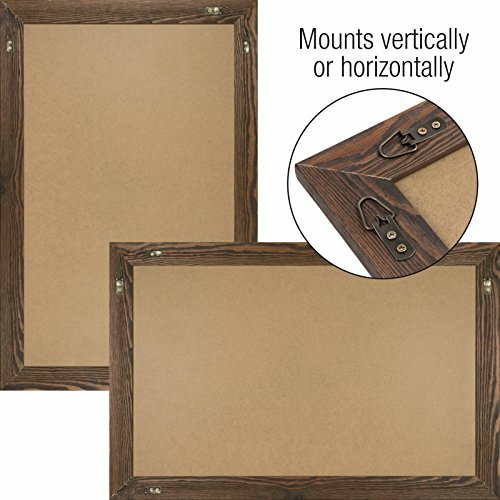 HANGS IN BOTH DIRECTIONS: The chalkboard frame includes a duel set of installed hardware which allows you to hang the board in either direction (portrait or landscape). GUARANTEED QUALITY & BUILT TO LAST: Ships and Services by Amazon with Prime available A-Z money back guarantee. High quality heavy-duty and BUILT TO LAST! Made by Excello Global Products. We are a family owned USA company and we have been making quality products for over 50 years. SATISFACTION GUARANTEED OR YOUR MONEY BACK – NO QUESTIONS ASKED!